Forty years ago, if someone died in police custody under mysterious circumstances, or felt they had been the victim of police brutality, or felt they had been wrongly arrested, complaints were handled by the police force concerned themselves. Following a series of scandals involving police corruption and a perceived lack of independence in the complaints procedure, some bright spark thought it might not actually be a very good idea to have complaints against police officers investigated by officers’ colleagues. In 1976, the Labour government had the absolutely genius idea of proposing an independent system, where complaints were looked at by people who didn’t actually work with the person being investigated. The following year the Police Complaints Board was established, which turned into the Police Complaints Authority the following decade, and eventually became the Independent Police Complaints Commission, as it it known today. Not a perfect system by any means, but surely better than what came before.In Westminster, if a complaint is made about the conduct of a Member of Parliament, it is investigated by the independent Parliamentary Commissioner for Standards, a lady by the name of Kathryn Hudson. She is not an MP. Whenever a politician is accused of fiddling their expenses or breaking parliamentary rules, the Standards Commissioner is asked to find out if any wrongdoing occurred, and to what extent. But she does not have the power to punish those she investigates. Instead, her findings are reported to the Committee on Standards, who look at what she has to say and then make their own judgment on if any action should be taken, and what that action should be. The Committee on Standards, which makes the final decision, is not independent. 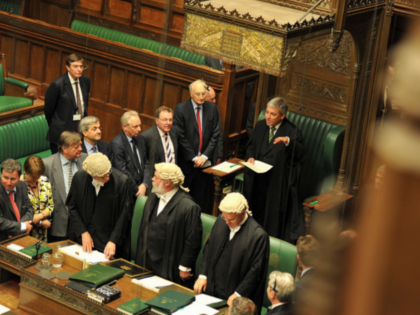 It is made up of ten MPs and chaired by Labour MP Kevin Barron. In the case of Maria Miller, the Culture Secretary accused of abusing parliamentary expenses rules to pay the mortgage of a home lived in by her parents, which she then sold for a £1.2 million profit, Ms Hudson concluded that Miller had over-claimed some £44,000 in mortgage interest payments. To be clear, the independent Standards Commissioner found that Miller broke the rules and claimed £44,000 more than she was allowed. The non-independent Standards Committee, a group of Miller’s colleagues, considered the findings. They judged that Miller should repay only £5,800. Her only other censure would be having to apologise. Why the disparity? Why the difference? Why did the Standards Commissioner find that Miller had over-claimed by £44,000, but the Standards Committee by only £5,800? Could it possibly be that the Standards Commissioner is an independent judge free from any conflict of interest concerning the person she was investigating, while the Standards Committee is a non-independent group of MPs, many of whom are Conservative colleagues of Miller? If you are a Conservative on the Standards Committee and a case involving a Tory Cabinet minister comes before you, a year before a general election, you know that publishing a damning report could seriously harm your party’s chances of success. If there have been a series of cases involving politicians from your party, you might even feel your own seat might be under threat if another one is found guilty. In such a position, how can MPs of any party fairly judge the conduct of one of their colleagues? This is the very definition of a conflict of interest. It is no wonder that the conclusions of Miller’s colleagues on the Standards Committee were so watered down when compared to those of the independent Standards Commissioner.The Standards Committee is not fit for purpose. We decided some forty years ago that our police could not be trusted to police themselves, and that investigations into their conduct must be done independently. The way our politicians are investigated should face the same reforms, albeit forty years too late.